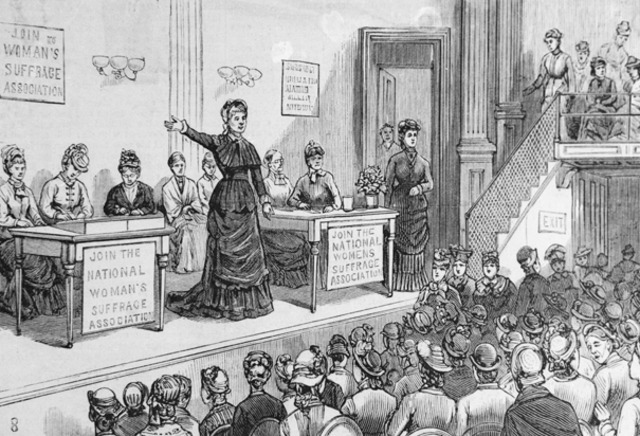 The Seneca Falls Convention takes place. Over 300 people, men and women, came to Seneca Falls to protest the unfair treatment of women in social, political, and religious aspects. After discussing for two days, 68 women and 32 men signed a Declaration of Sentiments, which expressed complaints and set the agenda for the women's rights movement. This is considered to be the start of the women's rights movement. 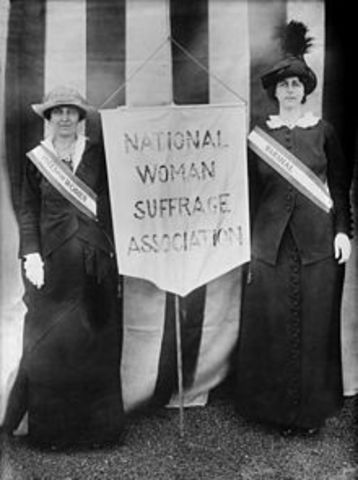 The National Woman Suffrage Association was formed during this year. The group was led by Elizabeth Cady Stanton and Susan B. Anthony. This group focused on getting women the right to vote through a federal constitutional amendment. The women involved in the group attempted many unsuccessful court challenges during this time. The case they were trying to make was that the 14th and 15th Amendment together served to guarantee women the right to vote. 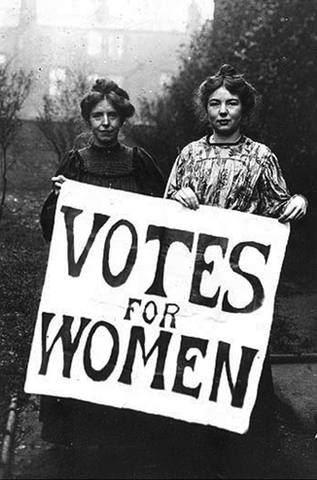 The American Woman Suffrage Association was formed after the split of the American Equal RIghts Association. 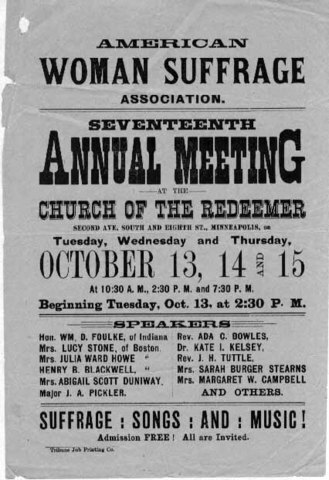 The group was led by Lucy Stone and Henry Blackwell. They believed strongly in suffrage for women. Unlike the NWSA, they focused on getting voting rights for women by working through the state legislatures. 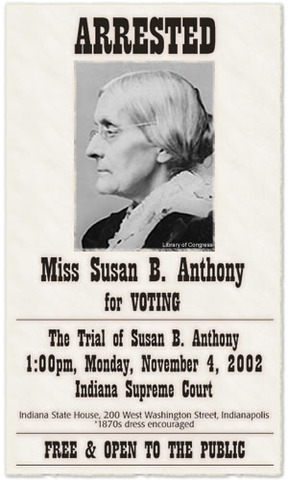 Susan B. Anthony was arrested in November of 1872 for voting in the Presidential election on November 5. Seven months later she was tried and convicted. Her argument was that the 15th amendment guaranteed her right to vote. Before and after her trial she gave many speeches and spoke to many people, saying that women should have the right to vote. The text of the 19th amendment was written by Susan B. Anthony with the help of Elizabeth Cady Staton. Aaron A. Sargent, a Republican Senator, who became friends with Susan B. Anthony first proposed the amendment in 1878. Stanton and other women spoke in favor of the amendment before the Senate. The proposal sat in a committee until it was considered by the full Senate nine years later. The proposal was considered by the Senate and rejected in a 16 to 34 vote in October of 1887. The amendment was again rejected by the Senate in 1914. On January 12, 1915 the amendment was again proposed to the House but was once again rejected. Two years later it was proposed once again, but the outcome was a bit different. The time fron 1887 to 1910 was called the "doldrums" where the amendment received no recognition from Congress. 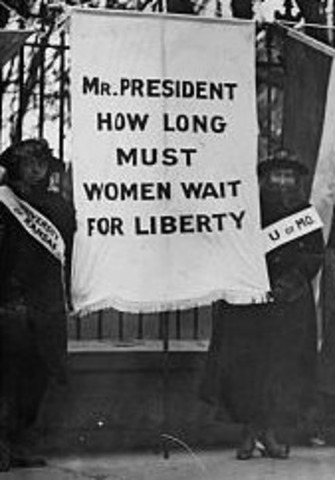 The women's rights activists didn't achieve much during this time either. 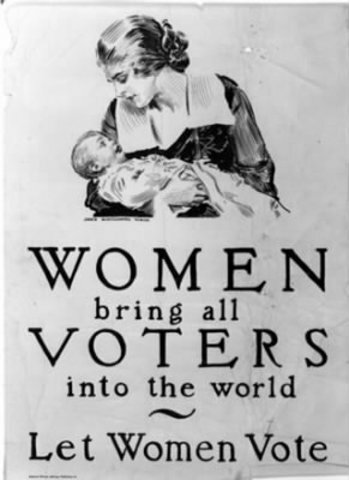 But around 1910 and 1911, many western states began to give women the right to vote. This can be credited to the election in 1912 and the rise of the Progressive and Socialist parties. The amendment was proposed before the House once again. 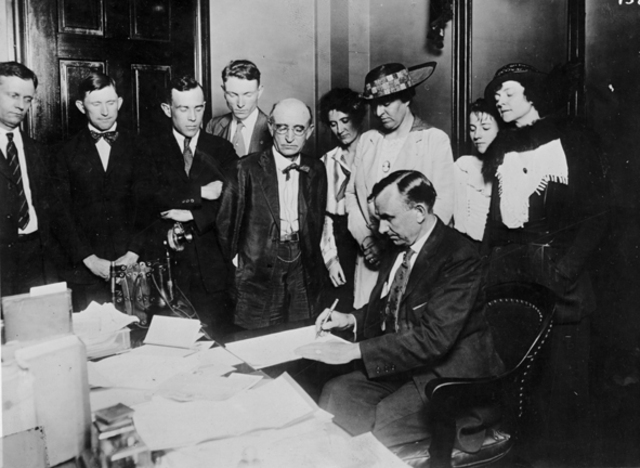 President Wilson supported the amendment and strongly encouraged the House to pass it. The amendment was passed by 2/3 of the House and then went to the Senate. On September 30, President Wilson once again made an appeal, but the bill was short by two votes so it was not passed. A year later, in February, it was voted on again, but this time fell short of being passed by only one vote. The President called a special session of Congress for the amendment to be brought before Congress again. This time it passed the House with over 42 votes than it needed. It was then sent to the Senate on June 4, 1919. It was eventually passed with 56 votes in favor and 25 votes against. 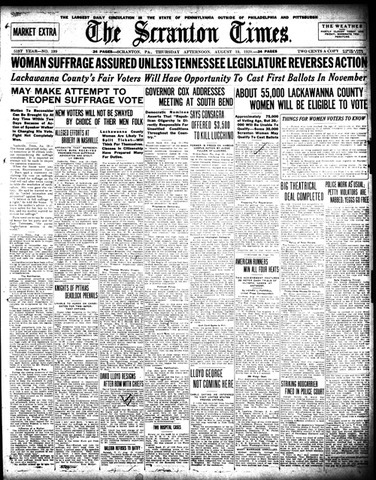 On August 18, 1920, Tennessee became the 36th state to ratify the amendment. 50 of 99 members of the Tennessee House of Respresentatives voted yes. This gave the amendment the approval of 3/4 of the states, which it needed to be ratified. The rest of the states eventually followed in Tennessee's footsteps. Eight days after Tennessee ratifited the amendment it became official. On August 26, 1920, the 19th Amendment was official. This gave women the right to vote. 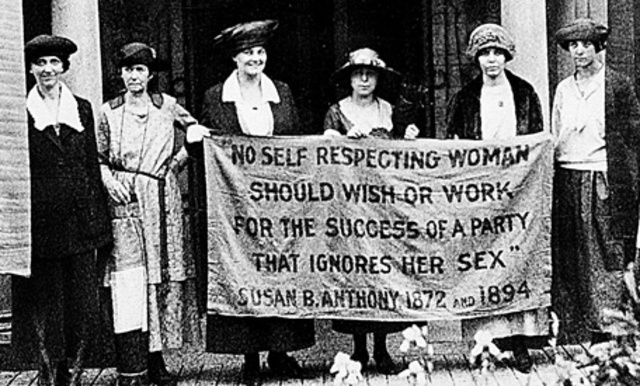 This marks the day in which the 19th Amendment was added to the Constitution. This shows that if you work hard enough at something and believe in it, anything is possible.